Christopher Delfino (1979 – 2009) was born in Seoul, South Korea and raised and educated in Merrimack, NH. Christopher loved writing and had authored several unpublished novels as well as several published articles in various magazines (both print and online). He helped to establish Collective Fallout, but passed away unexpededly soon after the first issue was ready for publication. Chester College of New England (1965 – 2012) was a small, liberal-arts college in Chester, New Hampshire. It was founded as White Pines College in 1965 by Faith Preston as a junior college. 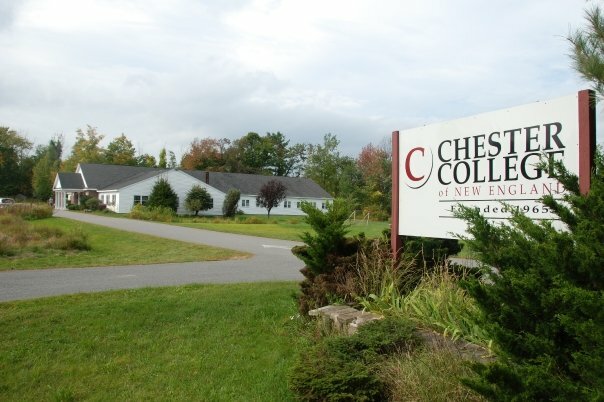 In 2002, after transitioning to a four-year, art centered program, the school changed its name to Chester College of New England (CCNE). In the years that followed, many current and former editors and contributors of Collective Fallout received their education here. In May 2012, after what would be the school’s final Commencement ceremony, the President and Board of Trustees of the college announced that the school would be closing its doors.